Plastics, and the Society of the Plastics Industry (SPI), will play a large role at next month’s Pack Expo 2012 (Oct. 28-31; McCormick Place Convention Center; Chicago). In additon to an exhibition booth, SPI will have meetings for its thermoforming and food/drug and cosmetic packaging materials committees, as well as an event celebrating its 75th anniversary. SPI Exhibit Booth: North Concourse C40. SPI will provide an opportunity to meet industry colleagues and SPI leadership at the show. SPI Thermoformers Committee: On Oct., SPI’s thermoforming committee meeting will include a presentation by economist Peter Mooney, who will offer guidance on how to turn challenges into opportunities in a difficult economic, political and business climate. SPI Food/Drug & Cosmetic Packaging Materials Committee: On Oct. 29-30, SPI’s conference will address questions and concerns on technologies such as bioplastics, antioxidants, nanotechnology, high pressure sterilization, green chemistry and more. in South Hall room S106B, SPI is offering the opportunity to join industry colleagues from across the plastics supply chain. Plastics processors, equipment and mold makers, resin suppliers and OEM/brand owners will be onhand to celebrate 75 years of plastics innovation. Party-goers will enjoy live entertainment, an open bar and a buffet. 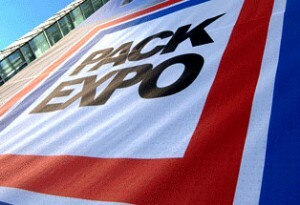 SPI notes that if a person registers to attend any one of these SPI events, he or she will receive a FREE entry into PACK EXPO 2012.